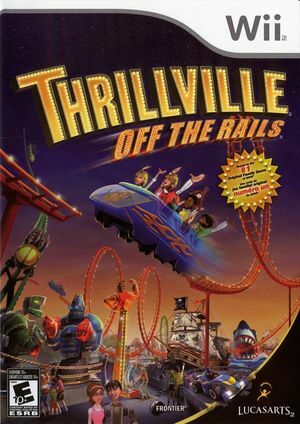 Thrillville: Off the Rails "lifts" up the family-friendly mix of gameplay from Thrillville with some of the most wildly creative roller-coaster concepts ever imagined, as well as new ways to communicate with park guests and a vast array of carnival games. Off the Rails lives up to its name with 20 death-defying rides so outrageous, they inspire the same word from every park visitor who sees them: "WHOA!" Build these incredible "WHOA Coasters" to leap from one track to another, launch through the air like cannonballs, blast through a burning rings of fire, and much, much more. The graph below charts the compatibility with Thrillville: Off the Rails since Dolphin's 2.0 release, listing revisions only where a compatibility change occurred. This page was last edited on 13 January 2018, at 15:00.